Princesses and Pixie Dust: Food Friday: A Smorgasbord of Snacks! Hey there, princes and princesses! I hope your week has been filled to the brim with all kinds of magic and adventure! I just wanted to let you guys know (and apologize in advance) that the next few weeks may be a teeny bit slower for posting! As I'm sure you're quite sick of hearing, I started my sophomore year at university this past week, and I'm still getting back into the swing of things. Thanks for understanding, and we now return to our regularly scheduled pixie-dusting! The term itself is an umbrella, beneath which goodies of every variety gather in a spread of scrumptiousness. 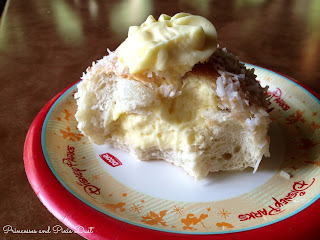 Cupcakes, cookies, and everything in between are present and accounted for- whether you're craving a massive cinnamon roll at Gaston's (R.I.P. 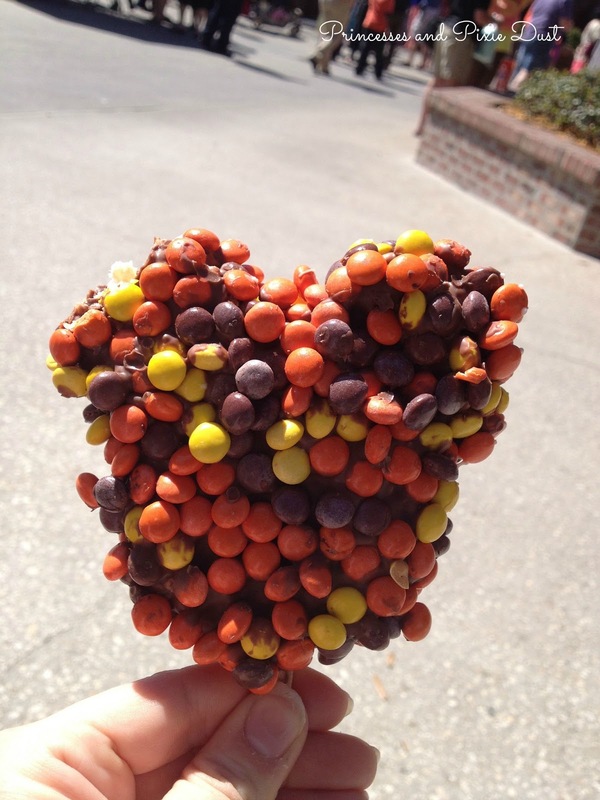 old Main Street Bakery) or an impossibly adorable candy apple, you won't be disappointed at a Disney park! If I had my way, I would forgo meals entirely and fill my belly entirely from the bevy of snack carts and counters at Walt Disney World (goodness knows most of them are big enough to stand in for a meal!). With such variety, the task of picking only a handful of these tantalizing treats can be understandably daunting. That's why I'm here to count down my top 5 most favorite (WDW) Disney snacks of all time (... too much?)! # 5: Ice Cream. All the kinds. ... didn't stand a chance! Alright, I know what you guys are thinking: "Becca, wouldn't this be one of the "all the kinds" you just mentioned?" In any other case, yes. However, this is not any old cookie sandwich. This cookie sandwich starts with two soft, gooey chocolate chip cookies (each of which, I might add, is roughly the size of my nineteen-year-old hand). 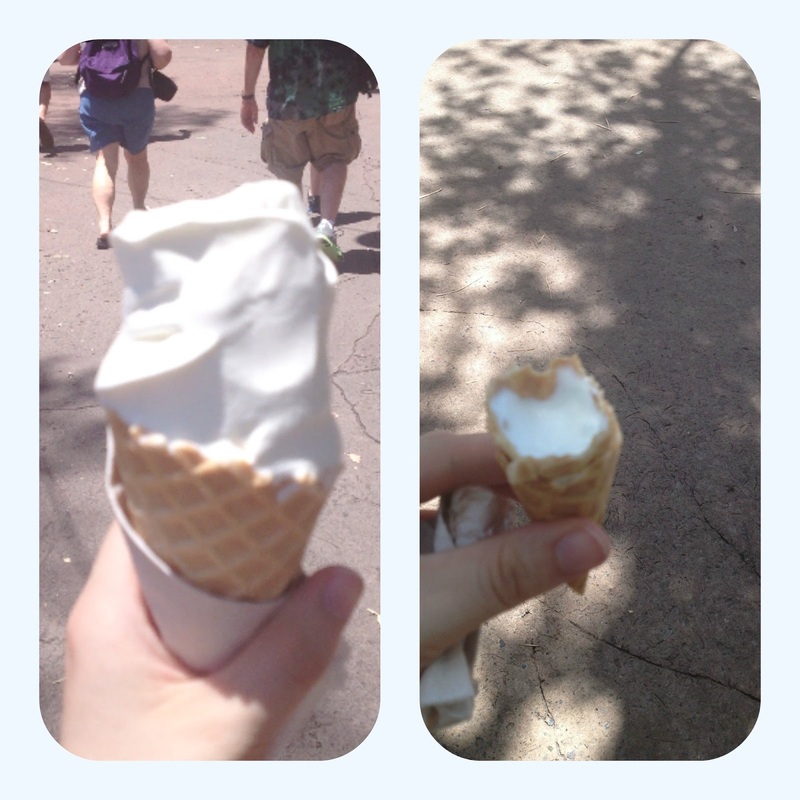 Then, a cast member will lop on healthy dose of that cold, creamy good stuff (typically vanilla) and actual magic happens. The ice cream melts ever-so-slightly into the warm cookies and creates an amazing, melty bite with the perfect balance of textures. A word of caution: the precise thing that makes this cookie great (see aforementioned melty deliciousness) brings the potential for a little bit of a mess. I suggest coming into it with a game plan (and a few napkins)! I will keep using this picture until someone tells me to stop. I somehow have no photos of my favorite snack... but this is where you can get it! Was there really any doubt about this one? 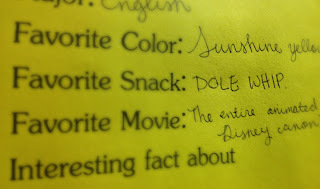 I love Dole Whip. 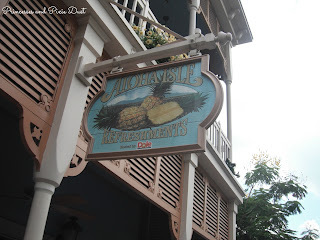 I dream about Dole Whip. 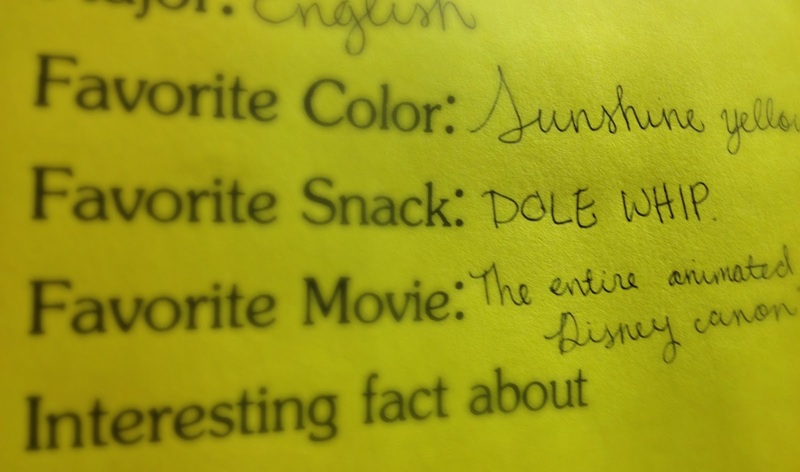 Dole Whip dominates entire conversations in my day-to-day life. The legendary pineapple soft-serve hardly needs an introduction; it's the perfect complement to a sunny day in the Magic Kingdom, and it's hard to beat a stroll through Adventureland with a Dole Whip in hand. Bright and refreshing, it's like a smile in a cup, and a trip to Disney just isn't complete without one. Did your favorite snack make the list? I had such a hard time picking only five! I really enjoyed your comment underneath the schoolbread picture, so I'm going to be the one telling you to STOP using it. :-p Just kidding- it's a lovely picture and I get hungry just looking at it! That cookie sandwich looks divine and brought back memories from when I'd visit Ben and Jerry's on my work breaks this summer and get a Cookie Cookie Sundae.... those things are so big that I couldn't even finish them! But so delicious too... AH. Your blog makes me hungry Becca!